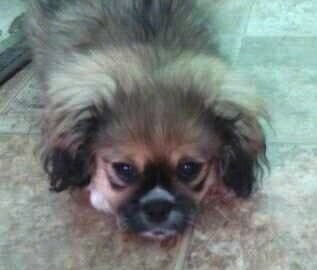 Tambuchi the Crested Peke as a puppy at 4 months old—"Her father is Pekingese and mother is a Chinese Crested powder puff." The Crested Peke is not a purebred dog. 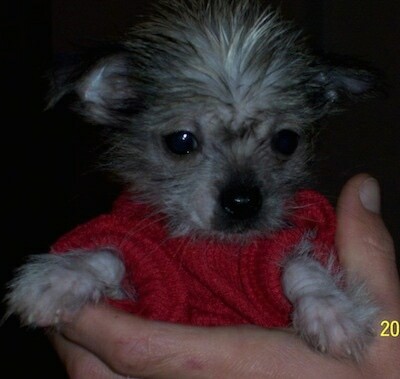 It is a cross between the Chinese Crested and the Pekingese. The best way to determine the temperament of a mixed breed is to look up all breeds in the cross and know you can get any combination of any of the characteristics found in either breed. Not all of these designer hybrid dogs being bred are 50% purebred to 50% purebred. It is very common for breeders to breed multi-generation crosses. 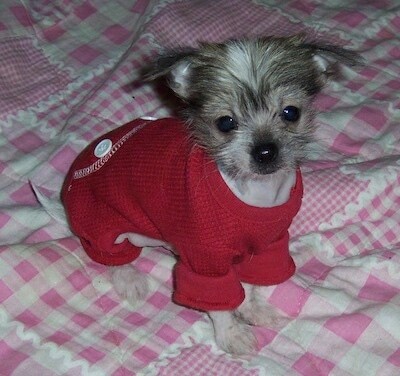 "PeeWee, shown here as a puppy at 9 weeks old, is a Chinese Crested crossed with a Pekingese. 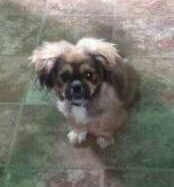 His mom is a purebred Pekinese, and his dad is a hairless Chinese Crested. 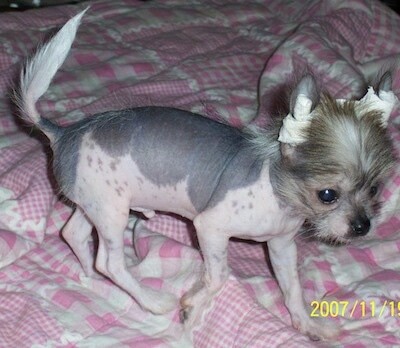 You cannot tell he is a cross; at this point he simply looks like a hairless Chinese Crested. He is such a cuddler and enjoys just sitting inside my hooded sweater and relaxing."